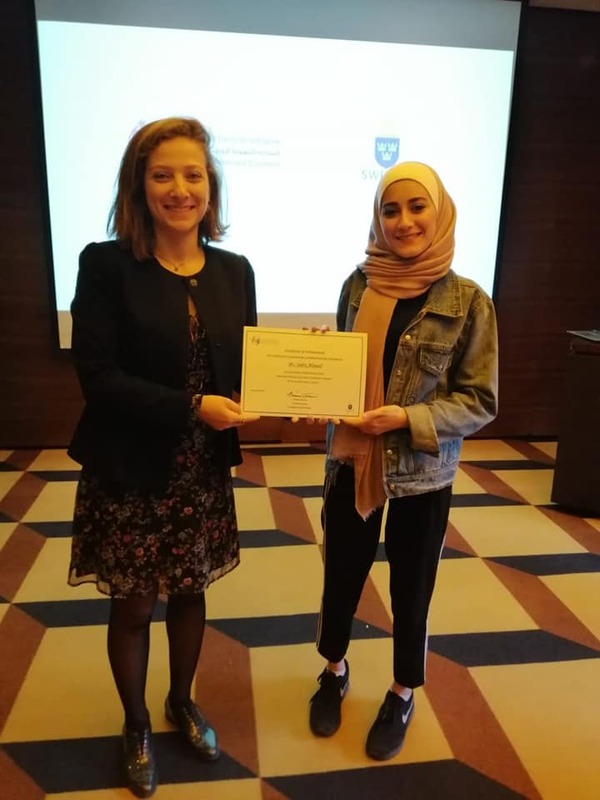 On the 8th and 9th April 2019, the EuroMed Feminist Initiative (EFI-IFE) organized a two-day training workshop for Syrian activists on “Awareness raising techniques and behaviour change” at the Four Points by Sheraton hotel in Beirut, Lebanon. 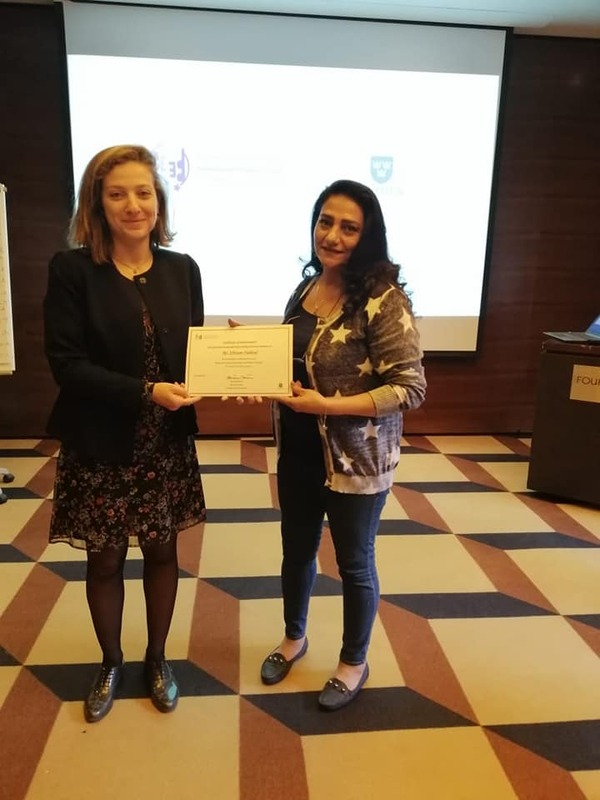 This event took place in the framework of the project “Towards Sustainable Peace and Democracy in Syria Through Strengthening Civil Society and Women’s Rights”, funded by Sweden. 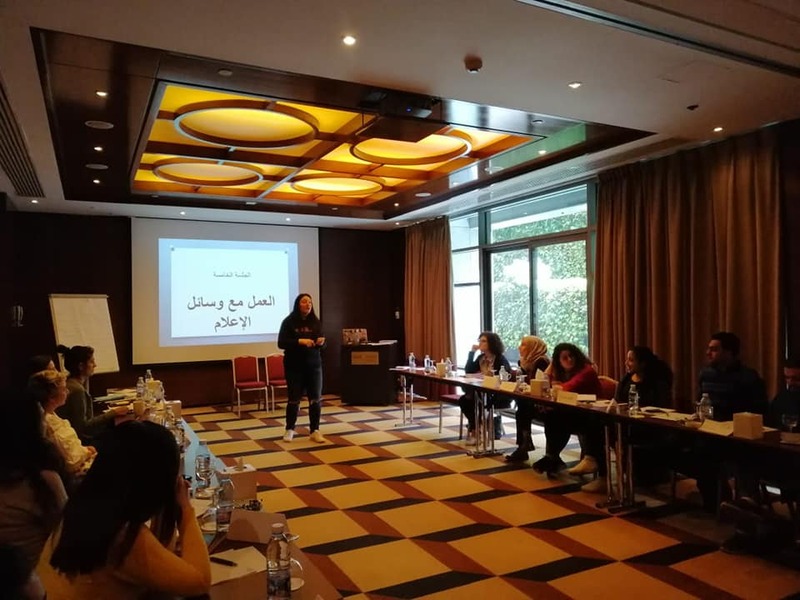 The training gathered 22 participants from partner Syrian Civil Society Organizations, all motivated and committed to advocating for women’s rights and gender equality. The trainer Hayat Mirshad, journalist and feminist activist, Co-Founder and Co-Director at Female and Head of Communications and Campaigning at RDFL, conducted the sessions of the first day. She introduced the definitions and basic steps of advocacy and campaigning, discussed networking and coalitions building and gave the participants tips and techniques to effective communication. Gathered in groups for different activities, the participants had the opportunity to work on different advocacy themes, on analysing the related problems and accordingly setting SMART objectives for their campaigns. On the second day of the training, Hayat Mirshad proceeded with the sessions, walking the participants through campaign planning, messages, and media activities and shared the experience of two successful campaigns led by RDFL on GBV. 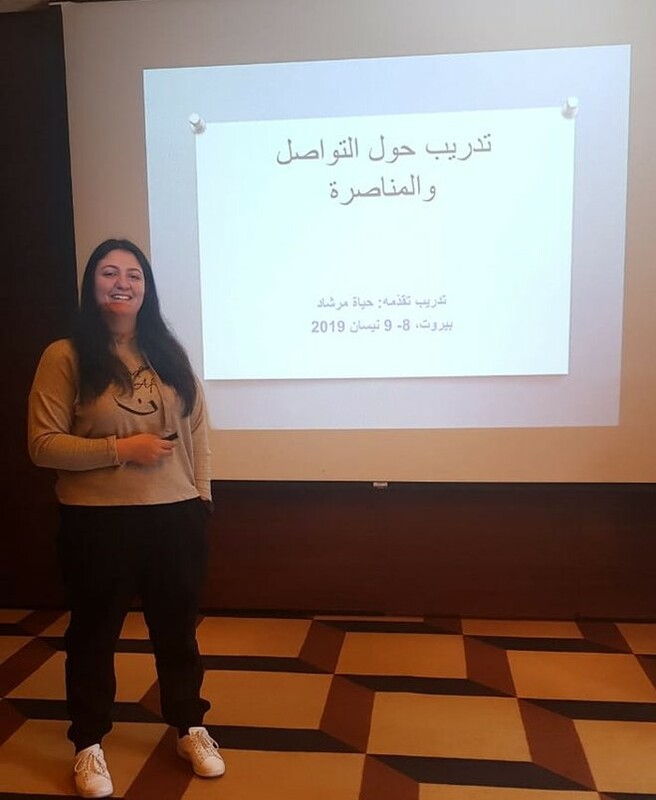 Hiam Mardini, Communication and Visibility Officer at the EuroMed Feminist Initiative, then took the floor and introduced social media from A to Z, focusing on building a Sustainable Media Strategy and Content Marketing. The participants were given the opportunity to develop their social media skills and campaigning techniques. The training was meant to enhance the participants’ skills in awareness raising and campaigning by training them on social media techniques and tools (including Facebook, Twitter, and Instagram). They learned about creating and implementing an online campaign and planning communication strategies. 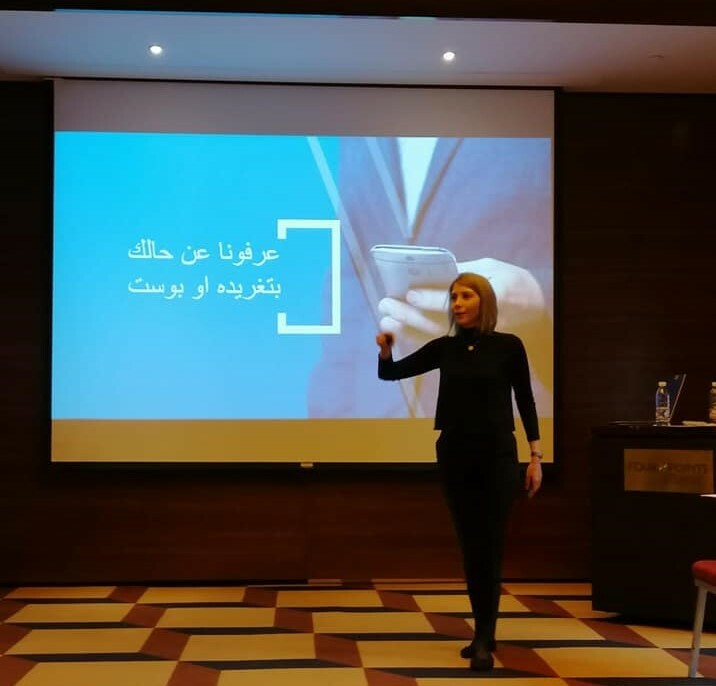 The training also addressed how traditional media tools can be used to raise awareness and showed how the afore-mentioned techniques and strategies contribute to behaviour change. This training should participate in better spreading the partner organization’s messages throughout and make them more visible. A Certificate of completion was distributed to the participants at the end of the training. Résultats de la conférence internationale : mise en œuvre en Syrie de la Résolution 1325 du Conseil de sécurité de l’ONU sur les femmes, la paix et la sécurité.